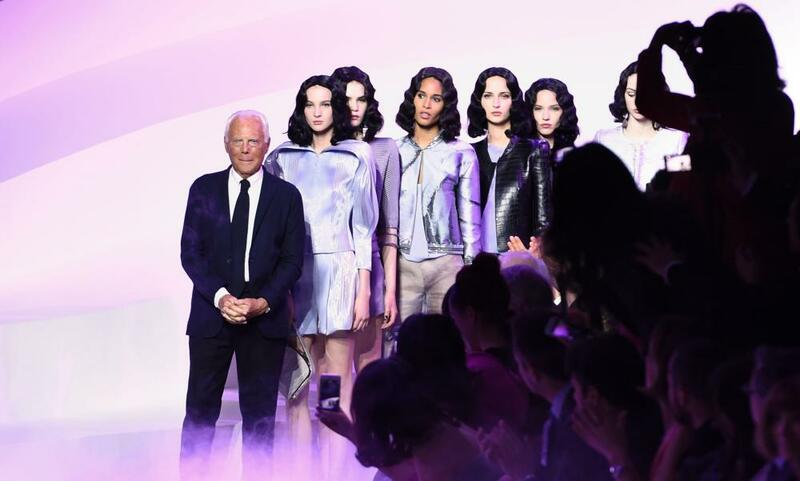 Even the 12th richest man in the global fashion industry dresses up for Paris haute couture. As the models emerged on to the mirrored Armani Privé catwalk, the man himself could be seen half-hidden behind the curtains dressed in a black suit, crisp white shirt and black tie, giving the final nod to each model as they stepped out. It was a much more formal look than the navy T-shirt which is Giorgio Armani’s trademark look on show day in Milan. 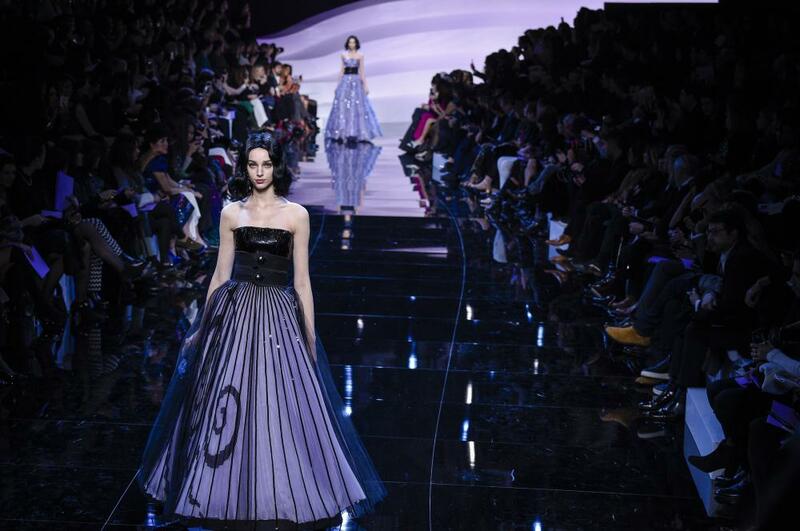 But then Armani Privé is the most exclusive and most formal of Armani’s lines. Armani is one of the most consistently prominent names on the red carpet – Emmy Rossum was a Golden Globes standout earlier this month in a red strapless Armani gown – and there is daywear too, always assuming your daytime engagements consist of what the haute couture crowd call “events”. Charity lunches in Singapore, society weddings in Istanbul, that sort of thing. 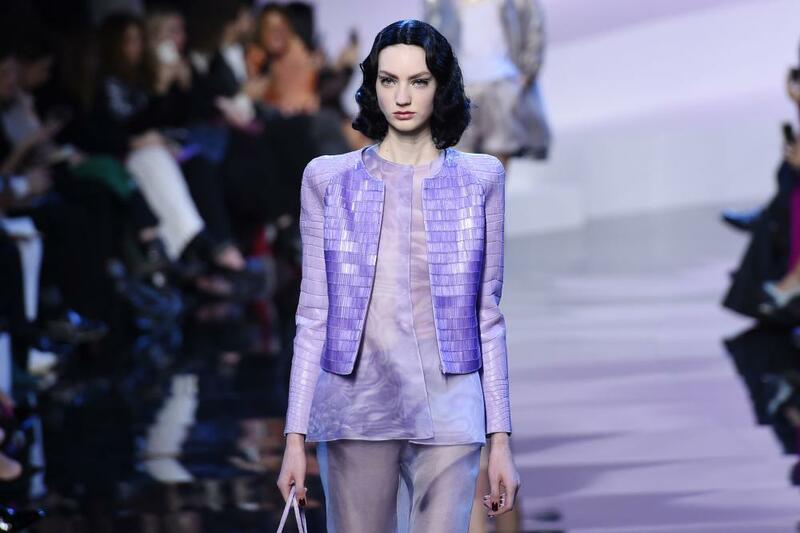 For this summer, Armani must have his fingers crossed that his clientele are fond of lilac. The first 47 exits, of a total 59, came in shades of mauve, violet and lavender, with a few oyster-shell silvery tones. Slim jackets came with matching shorts, or with cropped wide trousers. Everything shimmered: embossed silk organza with hazy, watermark lines; checkered jacquard; crystal embroidery. Two clear Oscar red carpet contenders sparked a round of clapping, as if the dresses themselves were up for awards. The first was breathtaking in structure, with an embroidered bustier and a full skirt which seemed unfeasibly light and airy for fabric entirely covered with lilac bugle beads. The second was romantic, with frothy silk gauze pleated into fan shapes. Oscar nominee Charlotte Rampling sat front row, but kept a low profile in the wake of her controversial comments about the Oscars and race, avoiding posing for photographers.